New York, 5 September 2017 - Special Representative Santos Pais welcomes the launch of the New Zanzibar Plan of Action to End Violence Against Women and Children, 2017-2022. The National Plan builds on the country's initial response to the findings of the Violence Against Children data survey carried out in 2009 to advance implementation of the recommendations made by the UN Study on Violence against Children. It represents the culmination of a very comprehensive process of consultation and collaboration between government, UN agencies, development partners, NGOs and civil society stakeholders in developing a strategic framework that provides an overall vision and costed set of agreed actions to address violence against women and children in Zanzibar. "I warmly welcome Zanzibar's continued commitment to place the protection of women and children from violence high on the policy agenda", highlighted the SRSG. "The Convention on the Rights of the Child recognizes children's right to freedom from violence and the 2030 Agenda for Sustainable Development makes an explicit commitment to ending all forms of violence against women and children in all settings. Through this plan, Zanzibar is taking significant strides to operationalize these important commitments, as well as to advance steady implementation of the National Growth and Poverty Reduction Strategy 2016-20 (MKUZA III) and of national legislation to prevent and address violence against women and children in Zanzibar”, she added. The development of a comprehensive and integrated plan of action builds on discussions held during the SRSG’s visit to both mainland Tanzania and Zanzibar in September 2011. 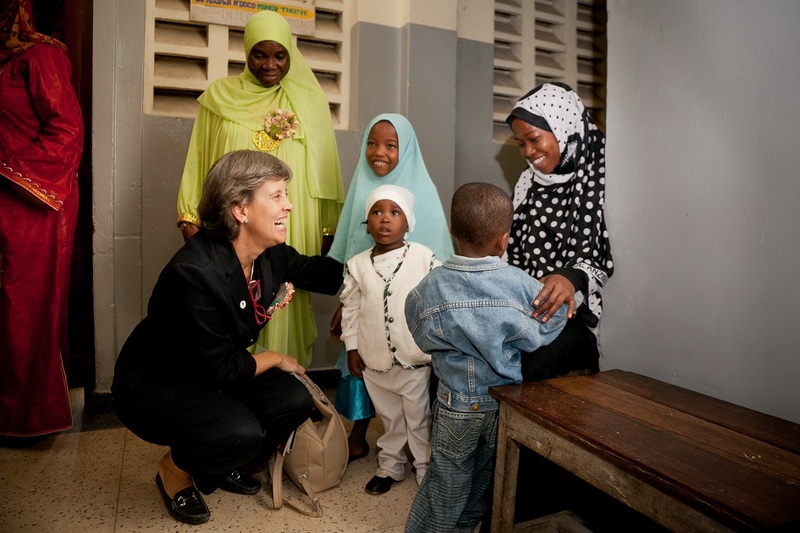 The new plan is motivated by the recognition of the many intersections between violence against women and children in Zanzibar, identifies its root causes, as well as the multiple evidence based interventions needed to effectively address violence. The plan adopts a significant focus on the prevention of violence in addition to response and support services and places a specific emphasis on working directly with communities and families in breaking the cycle of violence against women and children. The Plan of Action also specifically targets men and boys as key actors in addressing the gender norms and practices that often underpin violence against women and children.